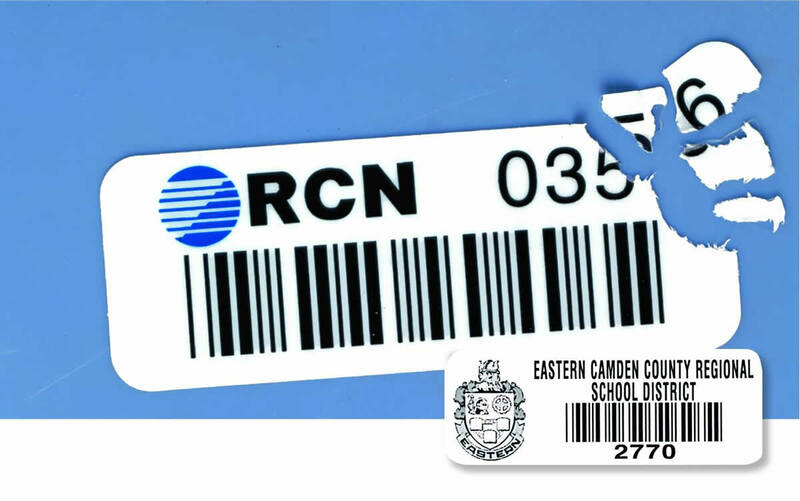 Secure valuable assets and deter theft with Destructible Labels! Made from a destructible material that tears apart if someone tries to remove it, these labels offer customers a unique way to protect their property. The coating featured on these labels not only aids in the destruction of the label but also protects the bar code and/or copy from cleaning as well as mild abrasion. Add a bar code and/or human readable number to the label and use it as part of an overall asset tracking system. 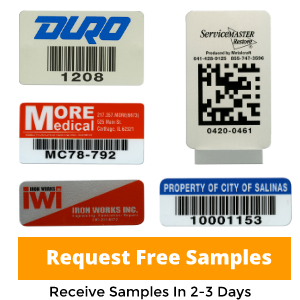 Available with or without a bar code, our Destructible Security Labels are produced using our digital printing process, which shows off even the most detailed logos, type, and artwork. Material .002" destructible polyethylene that can withstand intermittent temperature exposure to 176°F. Serialization Barcode and human-readable equivalent is produced using the latest high-resolution digital technology available, which provides excellent clarity and easy scanning. Code 39 is the standard symbology with a range of 2.7 to 9.4 CPI (characters per inch). Optional symbologies include Code 128, I 2 of 5, 2D DataMatrix. This product is also available with human-readable numbers only or with straight copy. Label Copy The label copy may include block type, stylized type, logos or other designs. All bar code, humanreadable numbers and copy are protected by a destructible coating. Colors All colors available. Due to contrast needed for the bar code scanner, all barcodes are black. Adhesive .0009” precoated pressure-sensitive adhesive. Minimum application temerature of 50°F.